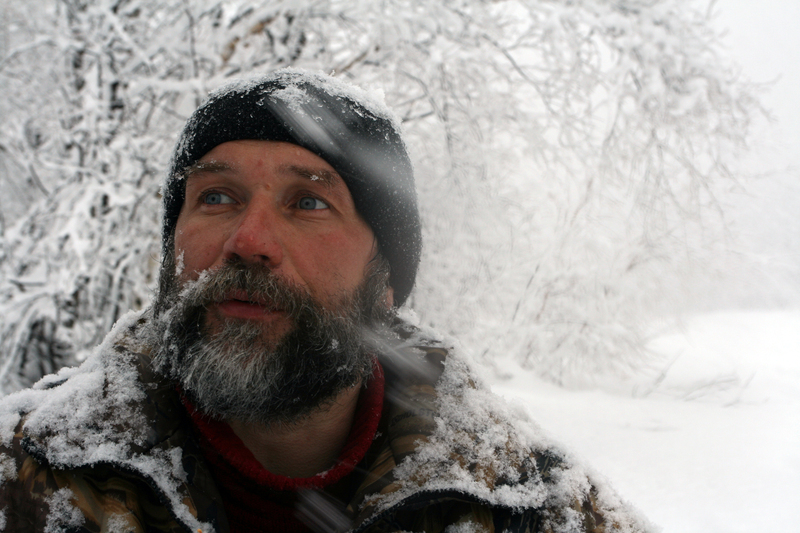 My colleagues in the Russian Far East are serious outdoorsmen; individuals who scavenge meat from dead animals, remain unwashed for days or weeks, stand stock-still to endure bluff charges from bears and tigers, and react resolutely when such attacks turn out to be more than feigned. I sometime wonder, if life were film, what music would trail these men. A fitting soundtrack might be raw and acoustic; a lo-fi recording of light-fingered guitarists and rhythmic stomping that lofts sawdust from floorboards underfoot. Or perhaps something heavier: a grinding wave of rusty industrial noise to highlight the rough edges of this place. In reality, there is an arresting dichotomy between my gruff Russian companions and the music they select to augment their travel experiences. On long rides churning through mud and skirting cliffs against backdrops of magnificent mountains and twisting rivers, they actively choose to listen to what I would expect to hear at a middle-school dance party instead. On a recent drive, the ill-advised “Woodpeckers from Space” was in heavy rotation because, as the first track on the mix, it would replay every time we stopped then restarted the truck. Which turned out to be a lot. On another trip, one where our vehicle stalled halfway across a river and water poured urgently through the door seams, we were bludgeoned by eight hours of almost strictly hip-house classics like “Pump up the Jam,” “Good Vibrations,” “Rock Your Body,” and others of that ilk. It turns out that C and C made more music in their factory than I had realized. It’s somewhat culturally insensitive of me to lampoon the musical tastes of grown Russians–men who wear scars left by knives and tigers–but despite twenty years in the region I’ve never fully understood their musical choices. Maybe my colleagues are simply looking for something to mask the silence; that introspective void inherent with long hours on the road. Perhaps all they seek is a beat conducive to absent-minded finger tapping; a distraction to while away the hours between those distant points of departure and arrival. But again: Woodpeckers from Space? More endearing and hilarious observations from Jon – thanks for bringing this magnificent place and the people who take it in stride to light! Imagine what he’d think if you played him Sloths in Space.